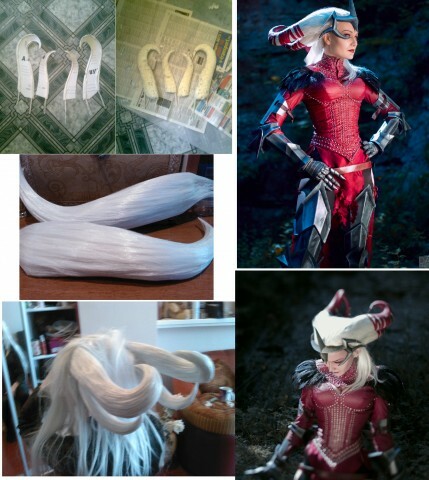 Dragon Age Flemeth Wig Tutorial « Adafruit Industries – Makers, hackers, artists, designers and engineers! Dragon Age’s Flemeth is a shapeshifter and exceptionally powerful. She also has some gravity defying hair. Mono Abel put together a detailed and screen accurate take on the costume – she had to have applied hundreds of rivets to the bodice and the collar. It’s impressive. 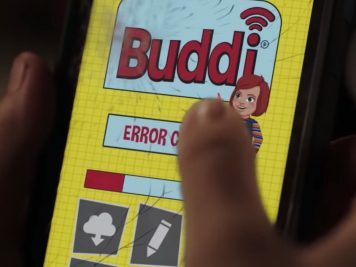 The wig is well made, too. Mono Abel started with what looks like of sheets of polystyrene or maybe plastic and covered it in expanding foam. She then carved them into shape and covered them with silver hair and attached the horn-like extensions to another wig. The finished piece looks seamless and as natural as hair like that can look.